In 2013, binge eating disorder was recognized in the DSM-V edition of the Diagnostic and Statistical Manual. The characteristics are as follows: recurrent episodes of binge eating occurring at least one time a week for at least three months; eating at least a larger amount of food than normal during a short time frame (any two-hour period); lack of control over eating during the binge episode (you feel you cannot stop eating or control the kinds of foods you are eating). Binge eating disorder is likely when at least three of the following are present: eating until uncomfortably full; eating large amounts of food when not physically hungry; eating much more rapidly than usual; eating alone out of embarrassment over quantity eaten; feeling disgusted, depressed, ashamed, or guilty after overeating. In addition, marked distress over binge eating is also present. Because eating is such an integral and natural part of our lives, it makes sense that foods and emotional wellbeing are intertwined. For example, why are starches so appealing when we feel stressed? Or, why does silky smooth chocolate ice cream soothe our sadness? For some, the relationship is normal, and for others, out-of-control eating is a hurdle that is difficult to overcome. These individuals eat even when they are not hungry and may suffer from binge eating disorder. People who suffer from binge eating experience feelings of shame about their eating habits. These emotions can trigger more overeating and can lead to a cycle of binging: you feel bad, you overeat; you feel shame or stress, you turn to food. Recent studies also suggest a connection between binge eating disorder and depression and anxiety. The lifetime prevalence of major depression disorder and anxiety disorders in the United States is estimated as affecting 17 percent and 29 percent of the population respectively. However, within the obese populations, reported lifetime prevalence rates jump to over 30 percent for both depression and anxiety. If you’re recognizing yourself or someone you care about as you read this, there is hope. A first step would be to identify binge foods and attempt to steer clear of them. You should also avoid buffet lines at parties and restaurants. When it comes to treatment for binge eating disorder, a combination of services might include care assessment and planning; individual psychotherapy; support or therapy groups; family or couples’ therapy; family member support and education; specialized nutritional counseling; and medical or psychiatric support and medication management as needed. Once you are honest with yourself and seek help for binge eating disorder, you should feel relief knowing you’re not alone. With help and honest communication, you should come to know the origins of your behavior and ways to help control your eating, so it doesn’t control you. Next articleGuess Who’s Coming with Dinner? 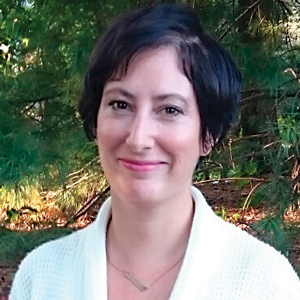 Adina Silvestri, LPC, EdD, is a licensed professional counselor, researcher, and counselor educator who works with adults and children in her private practice, Life Cycles Counseling.